A Waikato Health Board whilstleblower filed an anonymous complaint under the name “concerned citizen”, claiming that the hospital had put 20 babies’ lives at risk. The complaint stated that staff had turned off vital breathing gas for the babies twice whilst attempting to enable a new medical gas pipe, triggering off the Newborn Intensive Care incubator alarms and causing chaos. Waikato DHB denies that any lives were put at risk, but admits the new installation of gas pipes did not go as planned. 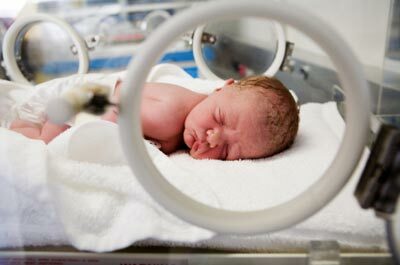 The breathing gas sent to the babies is called medical air, and without it they can die. When the medical air was shut down, it was turned back on again after a short amount of time. However, this incident occurred twice, even after an investigation and advice from a supervisor – twice endangering the lives of 20 babies. Maintenance staff reportedly voiced concerns stating that none of the drawings for the gas system were up-to-date, or even made sense. The key areas for concern were: there was no standard operating procedure or training for isolation, the person doing the work had only been employed for four weeks, management had ignored all concerns about the wrong drawings of equipment for the past three years, and the engineering department itself was overworked and underpaid. However, Waikato DHB spokeswoman, Mary Anne Gill, made a statement saying the work by the property and maintenance team to undertake the shutdown to enable new medical gas pipes, had all been planned out in advance. She said that at no point had the babies’ lives been put in danger, because a risk mitigation had been put in place, which meant if things were not going as planned the operation would be shut-down, and that in fact, when they realised the isolation wasn’t working, they reverted back to the original state and suspended the shut-down. If you have experienced any form of medical negligence that has caused or had the potential to cause harm, contact us now.